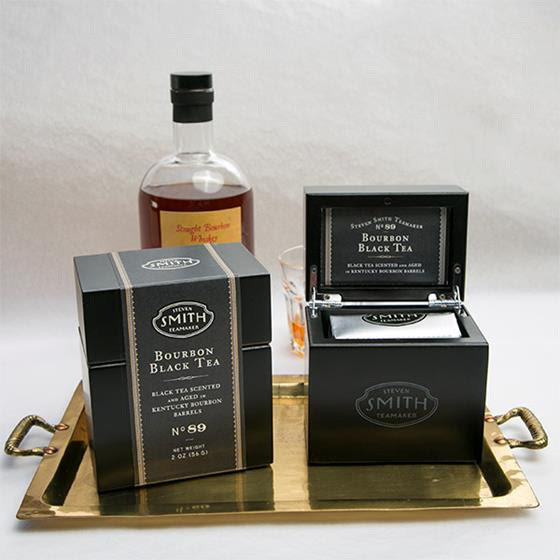 The French have been blending black tea with liquor for decades. The result is an exquisitely aromatic brew with a caramel richness that people love. Now Steve Smith has introduced their version: an Assam and bourbon marriage showcasing a Portland distillery. The only way you can order the tea at this time is in the limited edition 2 oz. No. 88 Bourbon Black with its own wooden box for $39.99 – which equates to $320 per pound of tea minus whatever you value the box at. Yikes! But it’s a classy gift idea especially for the guy on your list or to serve after dinner on the verandah. And if it’s anything like the Parisian masters, sippers are in for a real treat!